On the 23rd (Sat), take a stroll through Colaba, admire the landmark architecture of Chhatrapati Shivaji Terminus, and then contemplate in the serene atmosphere at Shree Siddhivinayak. On the next day, take in the views from Bandra-Worli Sea Link, take an in-depth tour of Mani Bhavan Gandhi Museum, enjoy the sand and surf at Chowpatty Beach, then stop by Sancha Tea Boutique, and finally take an in-depth tour of Chhatrapati Shivaji Maharaj Vastu Sangrahalaya. For maps, traveler tips, more things to do, and other tourist information, go to the Mumbai trip planning app . Pune to Mumbai is an approximately 2.5-hour car ride. You can also fly; or take a train. In February in Mumbai, expect temperatures between 37°C during the day and 21°C at night. Wrap up your sightseeing on the 24th (Sun) early enough to travel to Denpasar. Start off your visit on the 25th (Mon): don't miss a visit to Tanah Lot Temple, then look for all kinds of wild species at Sacred Monkey Forest Sanctuary, and then explore the world behind art at Don Antonio Blanco Museum. On your second day here, see the interesting displays at Bali Trick Art and then tour the pleasant surroundings at Kuta Beach - Bali. For ratings, where to stay, maps, and other tourist information, refer to the Denpasar trip planner. Traveling by flight from Mumbai to Denpasar takes 8.5 hours. The time zone changes from India Standard Time to Central Indonesia Time, which is usually a 2 hour difference. Traveling from Mumbai in February, expect somewhat warmer with lows of 28°C in Denpasar. Finish up your sightseeing early on the 26th (Tue) so you can travel to Singapore. 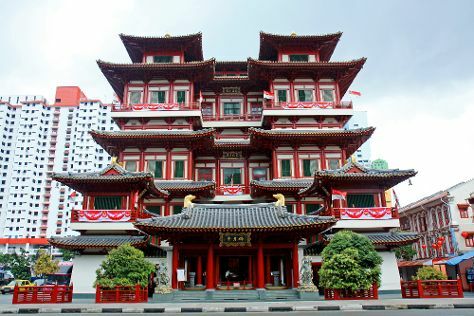 Your cultural itinerary includes sights like Images of Singapore LIVE and Buddha Tooth Relic Temple and Museum. There's lots more to do: wander the streets of Chinatown, make a trip to Sultan Mosque, enjoy the sand and surf at Tanjong Beach, and see the interesting displays at Peranakan Museum. For reviews, other places to visit, more things to do, and other tourist information, read Singapore online tour planner . Traveling by flight from Denpasar to Singapore takes 5.5 hours. Expect a daytime high around 36°C in February, and nighttime lows around 29°C. Finish your sightseeing early on the 1st (Fri) so you can travel to Kuala Lumpur. Kick off your visit on the 2nd (Sat): admire the masterpieces at Islamic Arts Museum Malaysia, then identify plant and animal life at KL Bird Park, and then tour the pleasant surroundings at Batu Caves. 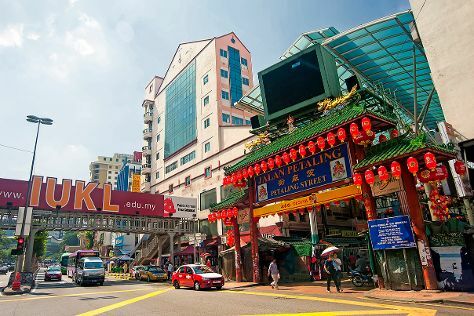 On the next day, admire the striking features of Petronas Twin Towers, then get a taste of the local shopping with KLCC - Bukit Bintang Pedestrian Walkway, and then shop like a local with Chinatown - Kuala Lumpur. To see traveler tips, maps, photos, and tourist information, refer to the Kuala Lumpur visit planner. Fly from Singapore to Kuala Lumpur in 3.5 hours. Alternatively, you can drive; or do a combination of bus and flight. In March, daytime highs in Kuala Lumpur are 39°C, while nighttime lows are 28°C. Cap off your sightseeing on the 3rd (Sun) early enough to travel back home.